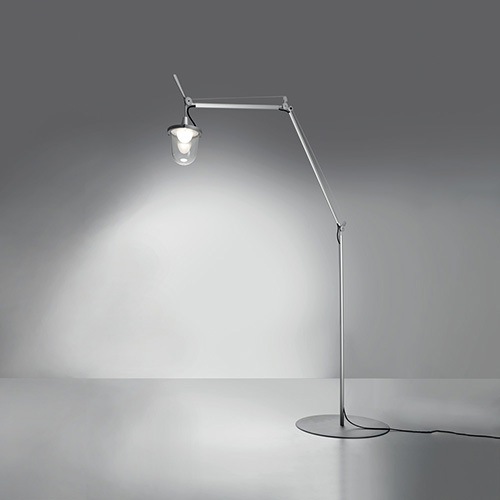 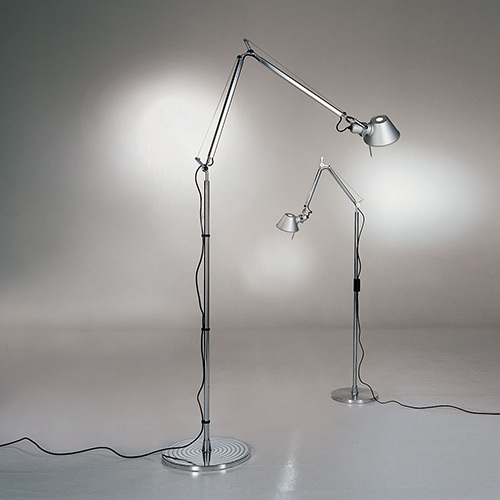 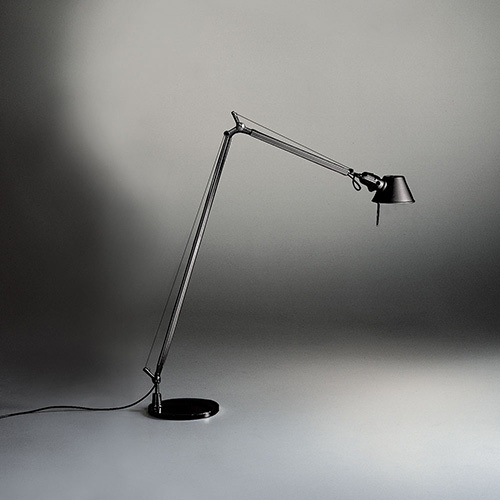 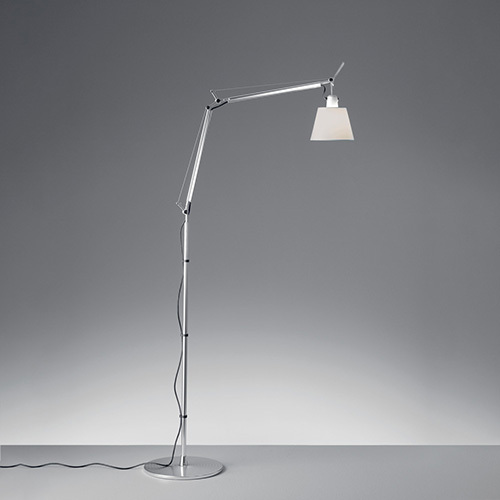 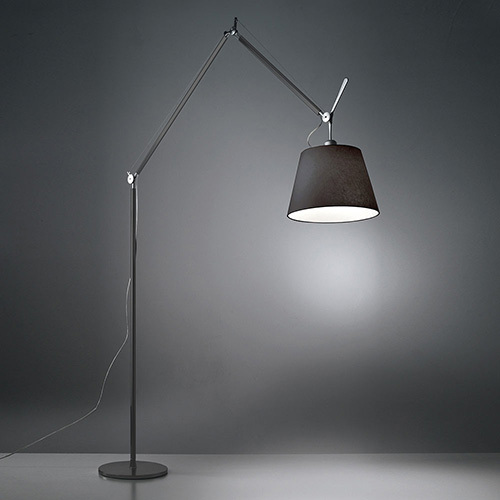 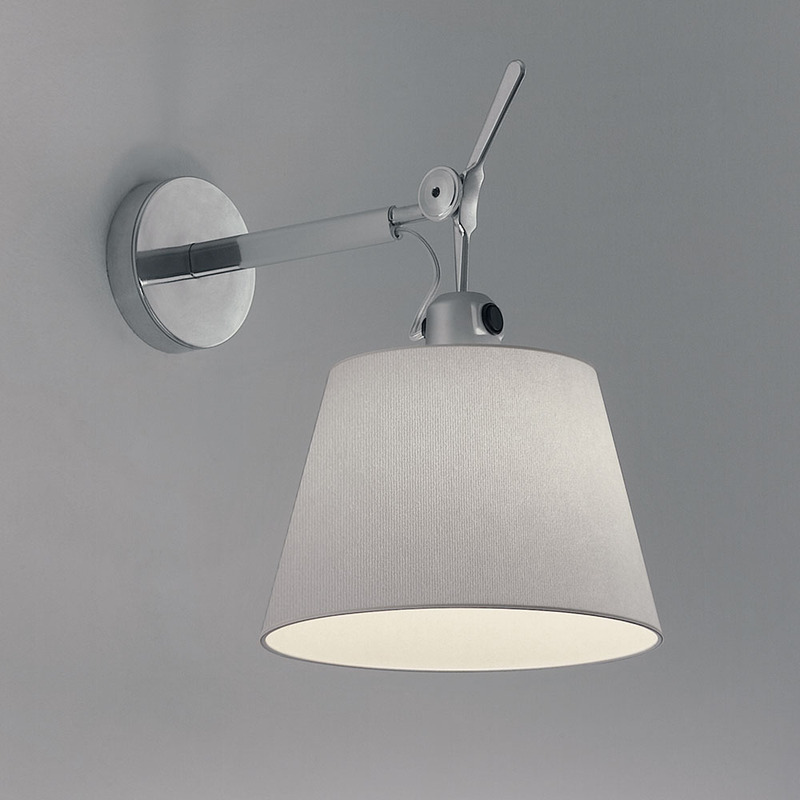 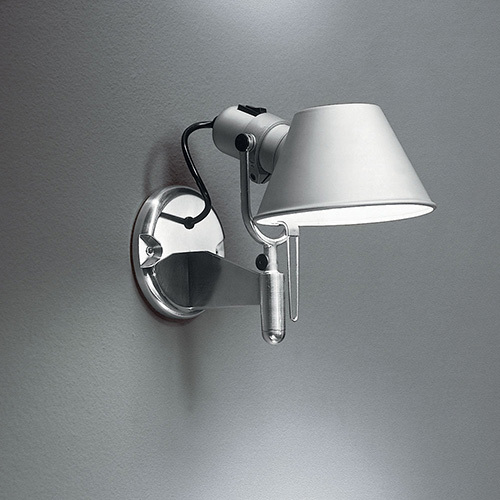 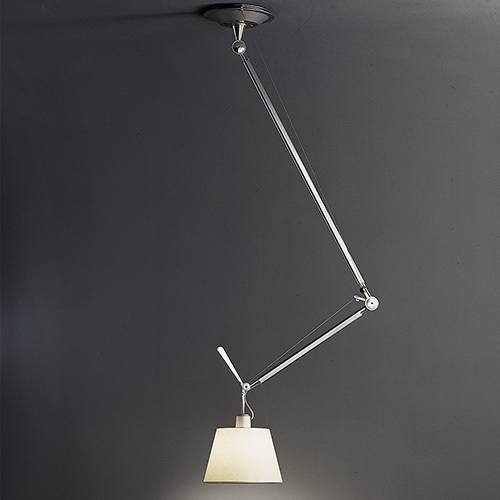 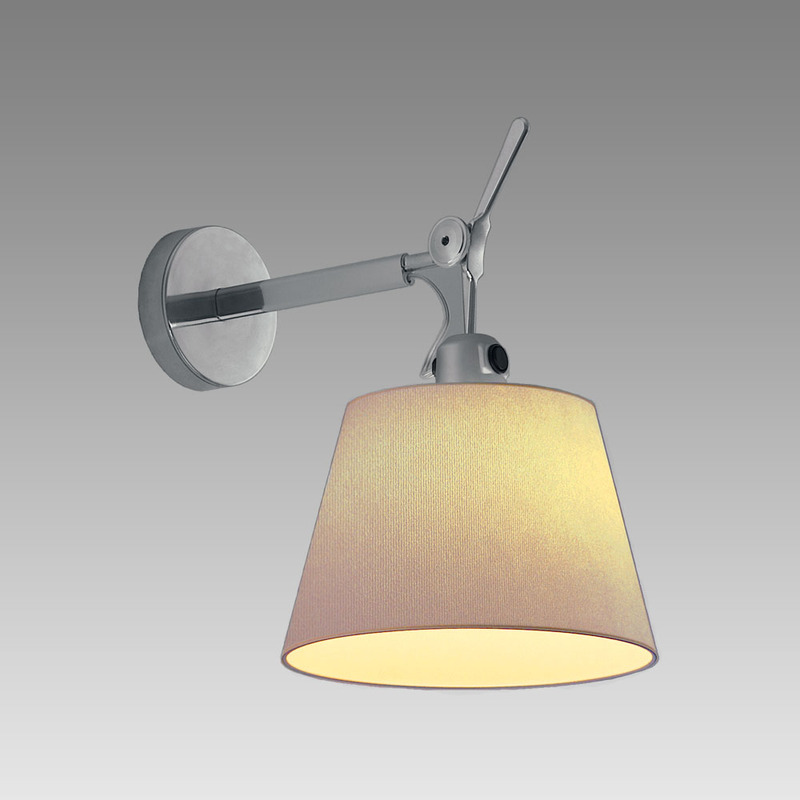 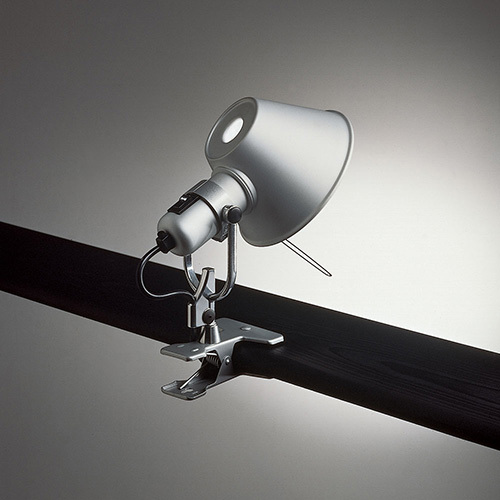 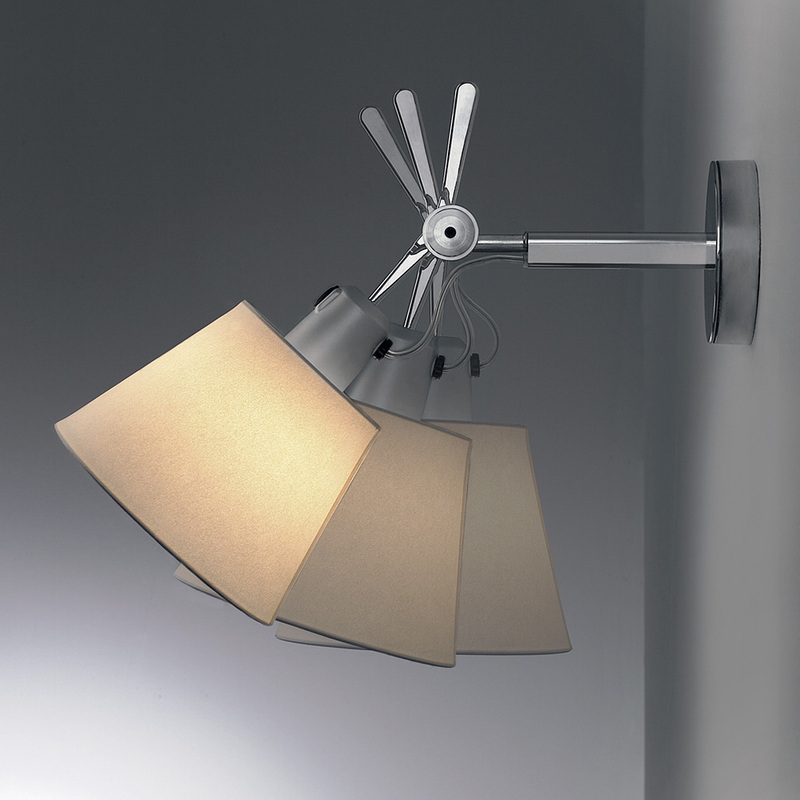 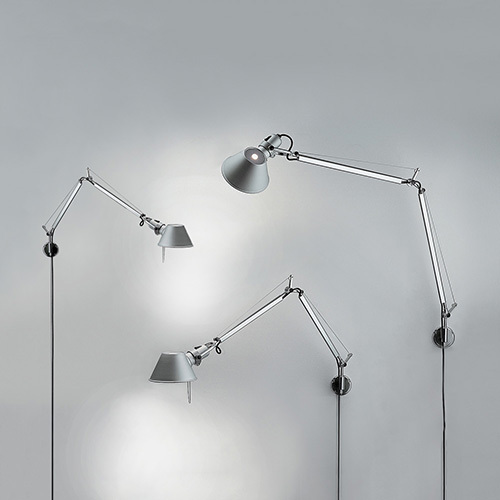 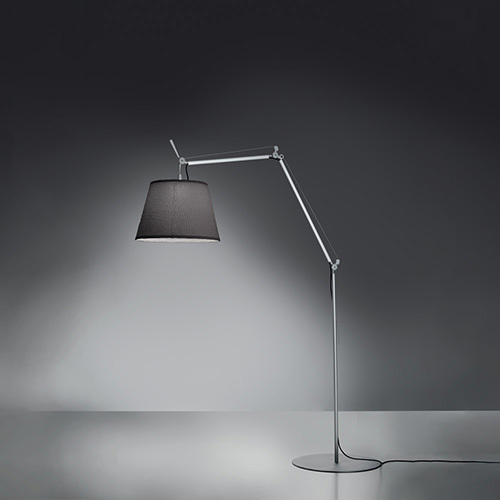 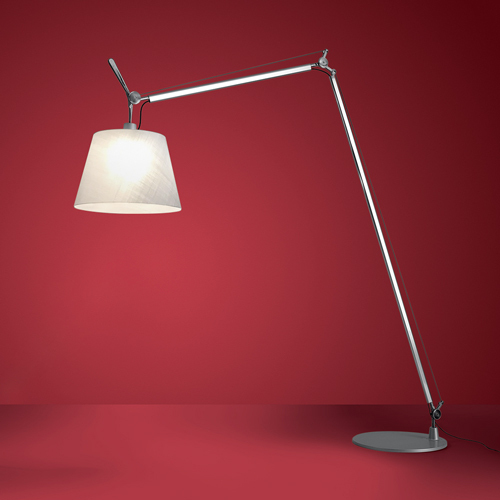 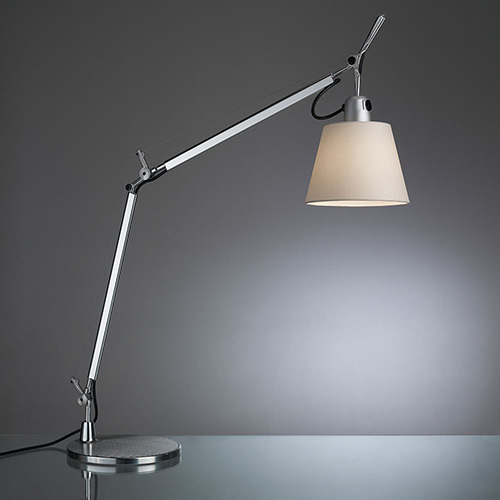 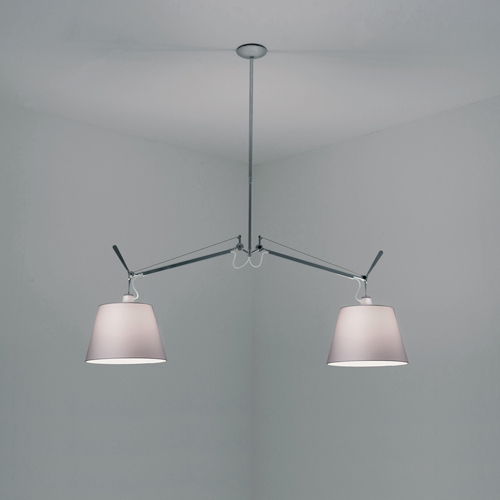 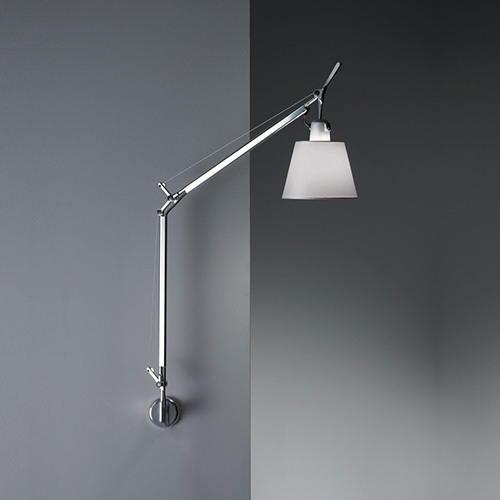 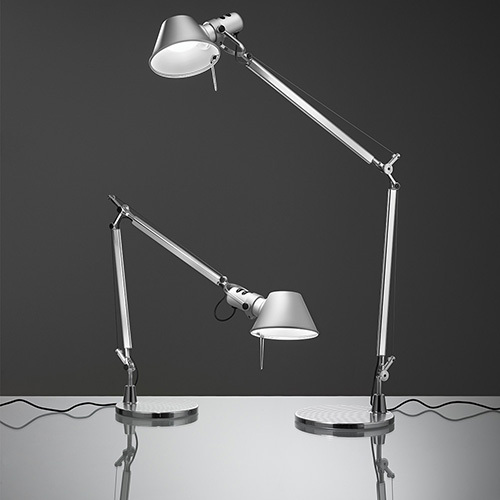 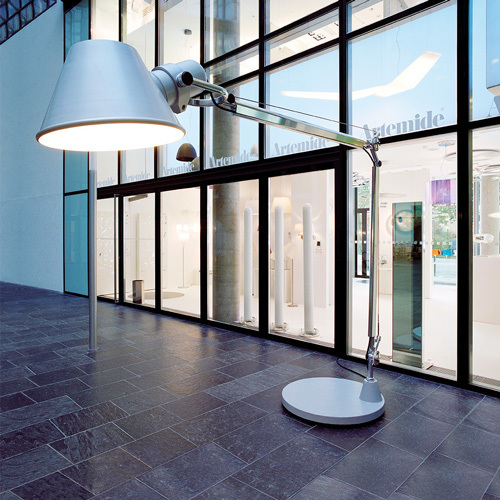 An extension to the iconic Tolomeo family, Tolomeo shade wall spot combines the head of the Tolomeo table lamp with shade to a wall mounting support to allow for a soft ambient wall lighting solution. 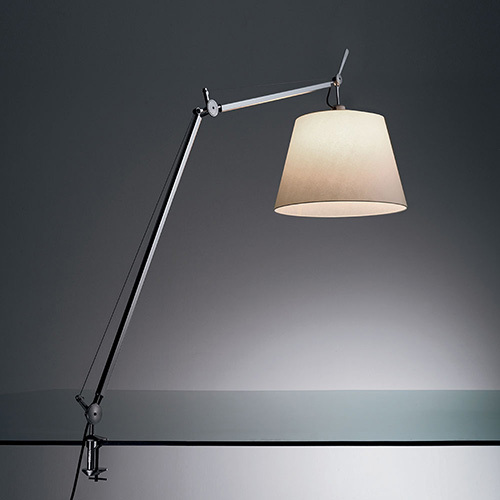 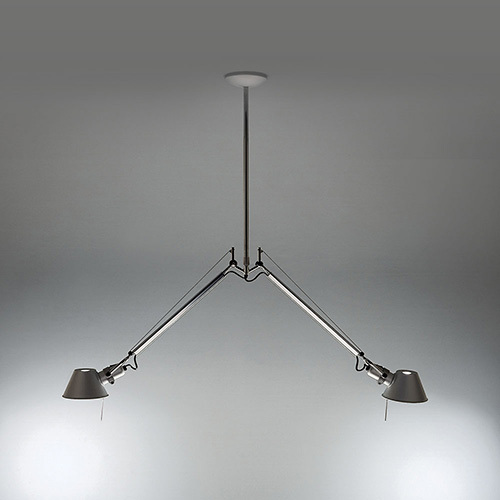 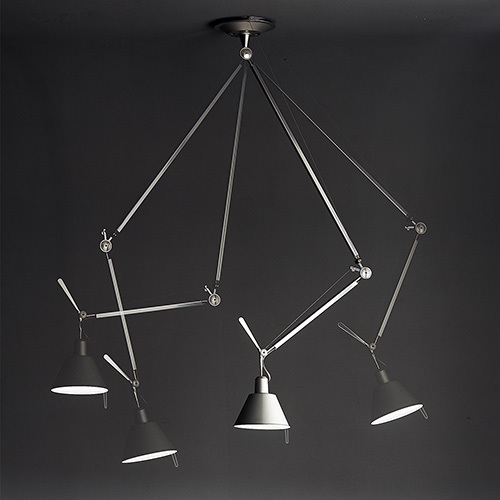 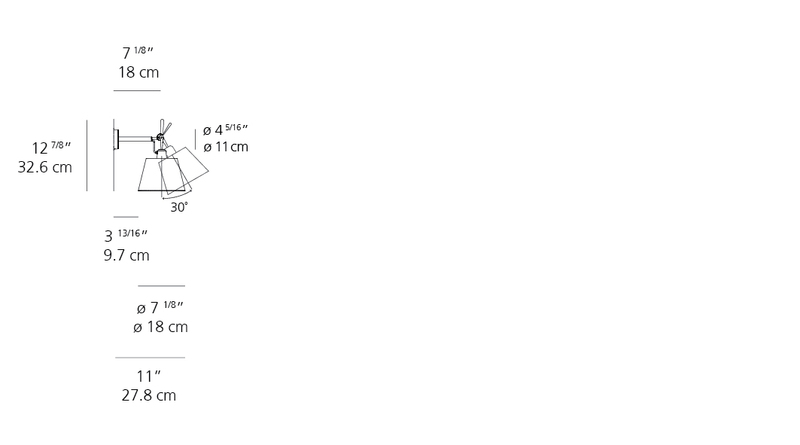 -Tolomeo bodies are shipped with 10ft. 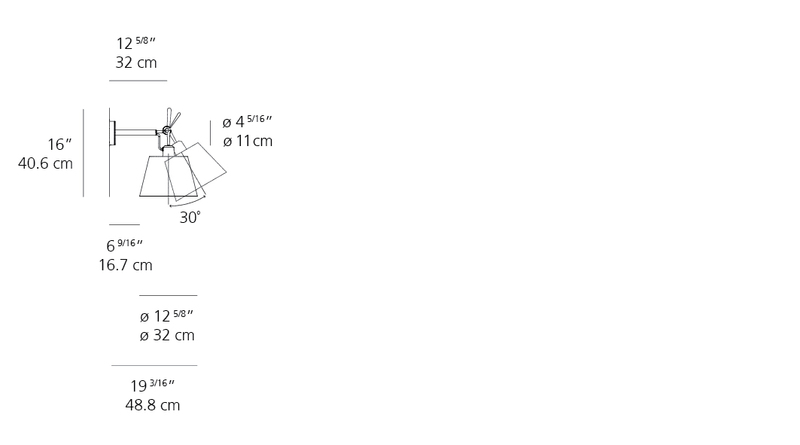 cord and plug (cord to be shortened and plug removed by electrician during hardwire installation). 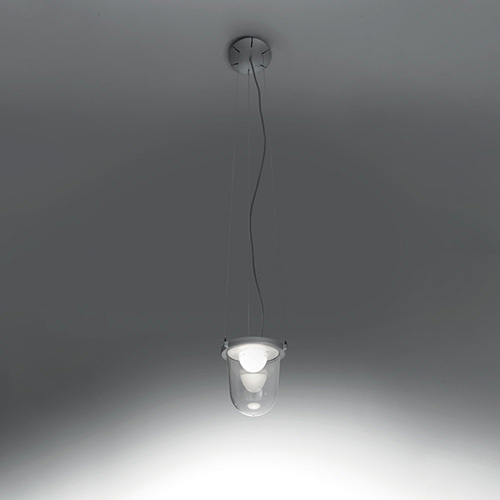 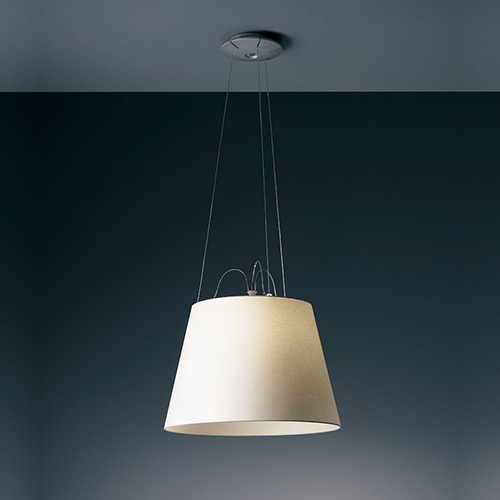 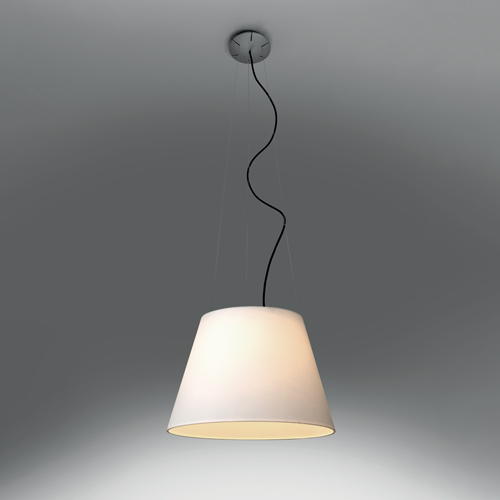 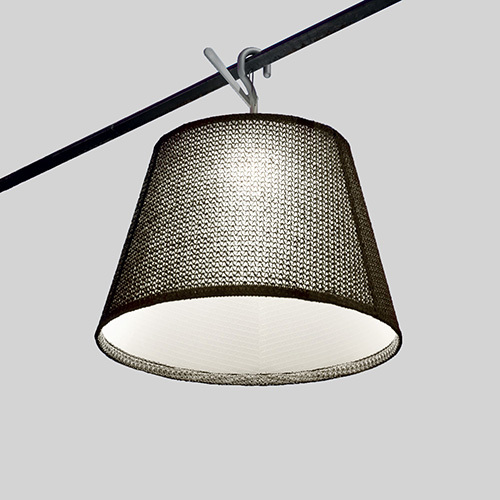 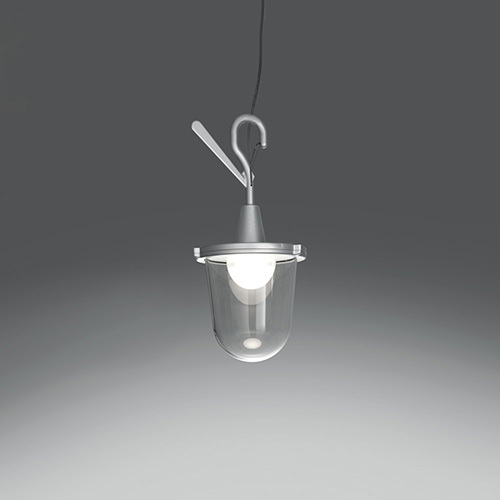 -Shade available in parchment paper or in pale grey satin. 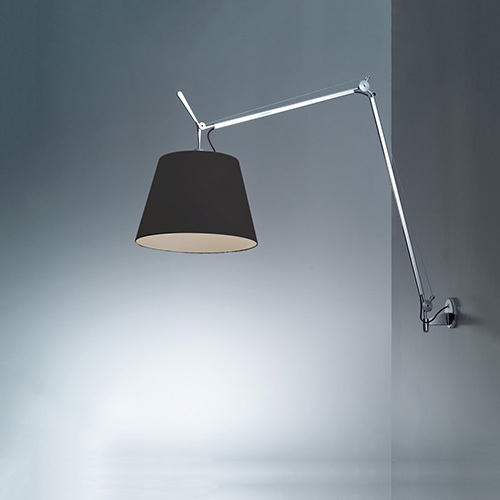 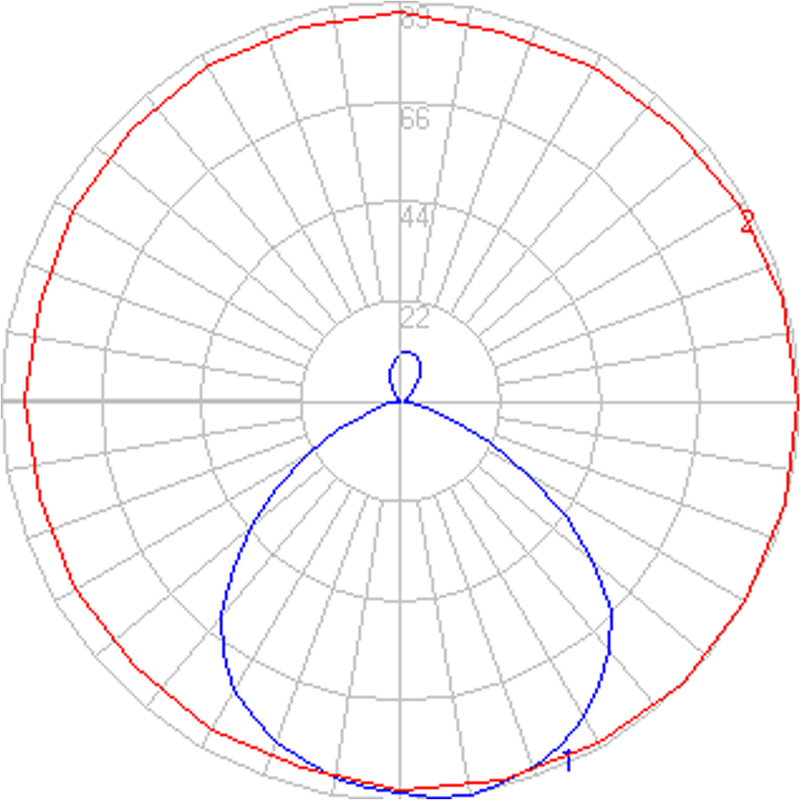 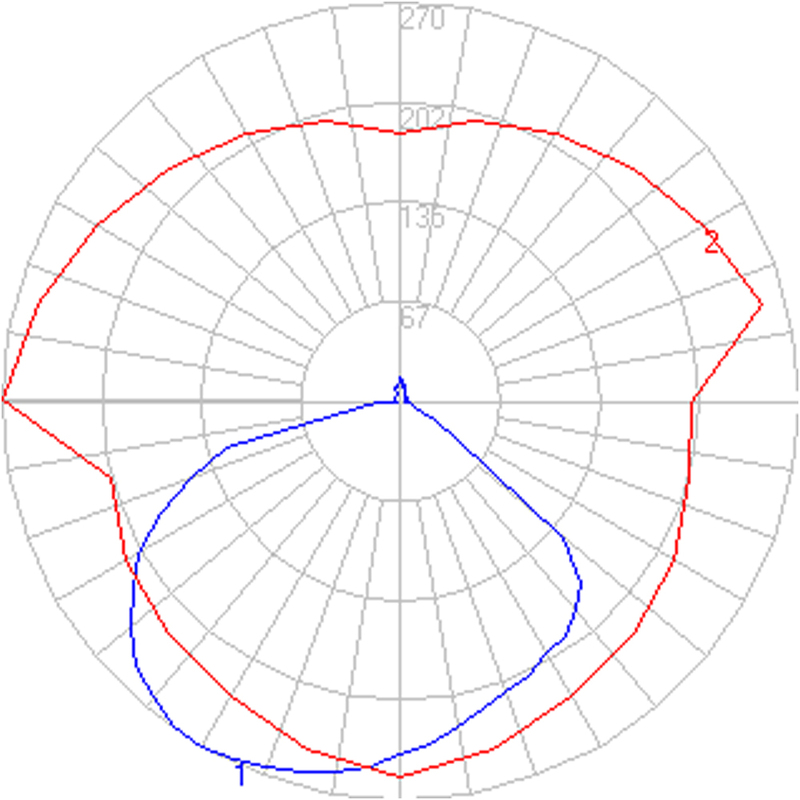 -Remains vertical regardless of arm angle.